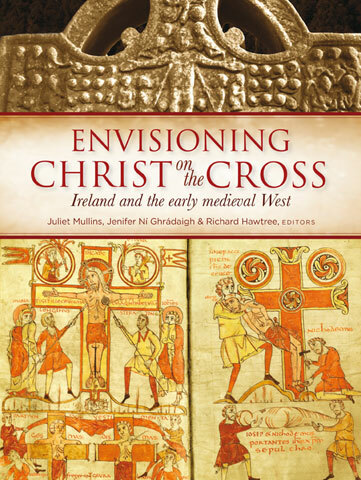 Envisioning Christ on the Cross: Ireland and the Early Medieval West is a new publication from Four Courts Press, edited by Juliet Mullins, Jenifer Ní Ghrádaigh and Richard Hawtree. It represents the first fruits of a project entitled ‘Christ on the Cross: Representations of the Passion in Early Medieval Ireland’, which was funded by the much-missed IRCHSS (now amalgamated into the Irish Research Council). The book arises from a conference held in 2010, at which scholars from a range of countries and disciplines came together to think about representations of Christ’s Passion and Crucifixion in medieval art and literature. My own contribution to this volume is an essay on ‘Sacrifice and Salvation in Echtgus Úa Cúanáin’s Poetic Treatise on the Eucharist’. The poetic treatise which is the subject of my essay was written in Roscrea in the late eleventh or twelfth century, by a poet who identifies himself as Echtgus Úa Cúanáin. Drawing on the Latin treatise De corpore et sanguine Domini by the Carolingian scholar Paschasius Radbertus, the poem is an extended exposition on Eucharistic theology. However, what might otherwise be a rather dry work of doctrinal verse is enlivened by narrative episodes, most strikingly with an anecdote (taken from Paschasius) about a Eucharistic host being transformed into the Christ-child on the altar. My essay in Envisioning Christ on the Cross represents my thoughts-in-progress on Echtgus’s poem, as I am currently working on a new edition and translation of it. In ‘Sacrifice and Salvation’, I place the composition of the poem within the wider context of Eucharistic controversies in eleventh- and twelfth-century Europe, and I read the poem in relation to the Eucharistic writings of Lanfranc of Canterbury and the depiction of an Irish Eucharistic controversy in Bernard of Clairvaux’s Life of Malachy of Armagh. Envisioning Christ on the Cross is a beautiful book: lavishly illustrated, luxuriously produced, and full of fascinating studies from historians, art historians and literary scholars on depictions of the Passion in a wide range of medieval cultures and contexts. Irish Religious History: Catholic, Protestant and Beyond? 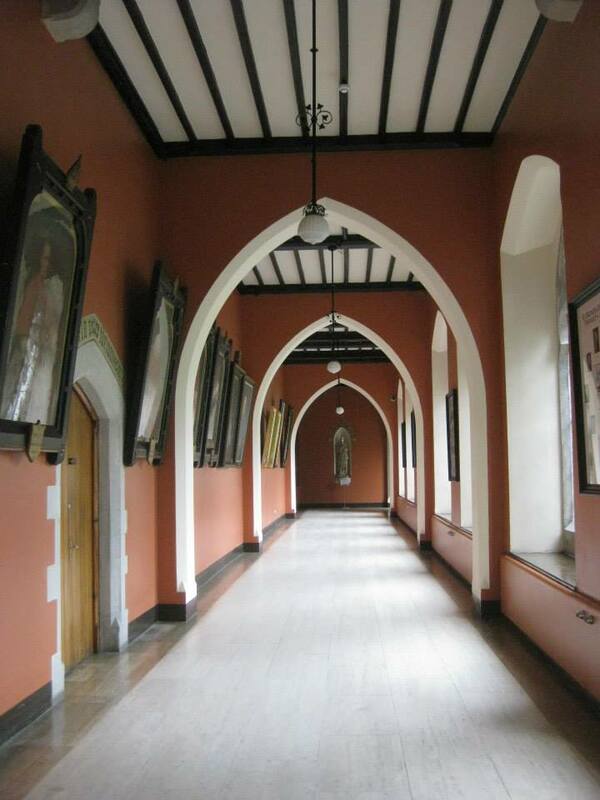 On 6th and 7th September 2013, the Centre for the Study of Irish Protestantism and the Department of History, NUI Maynooth, held a conference on the topic of ‘Irish Religious History: Catholic, Protestant and Beyond?’. I was invited to speak on an aspect of the historiography of medieval Irish ecclesiastical history, so I focused on the way that nineteenth-century historians – both Protestant and Catholic – set about writing the history of the Church in pre-Norman Ireland. As a case study, I looked in detail at the work of George T. Stokes (1843-98), who was professor of ecclesiastical history at Trinity College Dublin and later librarian at Marsh’s Library. Stokes (no relation, as far as I can tell, to the famous Stokes family of Dublin medics and scholars), was the author of a book called Ireland and the Celtic Church. A History of Ireland from St Patrick to the English Conquest in 1172, which went through six editions in the twenty years after its first publication, but which was described by the great historian Aubrey Gwynn S.J. as a work that is ‘perhaps best forgotten’. I argued that, while Gwynn was correct in his estimation of the book’s value today as a work of historical enquiry, it is in fact very useful to read the book in light of its position as a cultural artefact of the nineteenth century. Stokes’s prejudices and preconceptions were widely held and his book was influential in perpetuating the idea of a ‘Celtic Church’ – non-hierarchical and non-Roman, passionately religious but doctrinally suspect. This stubborn myth continues today in popular conceptions of early medieval Irish Christianity, so it is worth investigating its earlier manifestations, and the worldview from which it sprang. Other speakers looked in detail at the appropriation of individuals and events in Irish religious history by scholars, writers and community activists. For example, Dr Andrew Holmes, of Queen’s University Belfast, gave an interesting paper on the portrayal of St Patrick in works by Presbysterian scholars, antiquarians and historians; Professor John Woolfe, of the Open University, presented fascinating research findings on perceptions of Irish religious history among community activists in Nothern Ireland; and a keynote lecture by Professor Alan Ford (University of Nottingham) traced the history of anti-Catholicism in the Church of Ireland from c. 1600 – 2000. It is hoped that a publication will arise from the conference (to appear in late 2014), but in the meantime the conference was an excellent opportunity to reflect on the way that we go about writing religious history in Ireland, and the factors which shape our worldview, which shaped the kind of history which others before us have written, and which continue to shape the history which we write today.